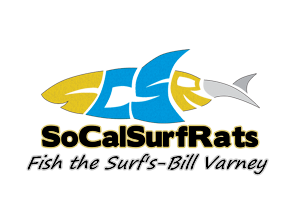 View Profile: robstrace - Surf Fishing California - How to Surf Fish & Surf Fishing Reports and Tips. I'm a transplant from Kansas City. I grew up fishing freshwater, mostly catfish, crappie and bass but have caught pretty much every fish possible in that area. I am relatively new to surf fishing and saltwater in general, having only fished in the gulf a handful of times in Florida and Texas before now. I know a bit about the Carolina rig, though after fishing on the competitive catfishing tours in the Kansas and Missouri areas for the last few years. I'm looking forward to taking advantage of all the surf has to offer and can't wait to learn a bit about the differences in technique compared to freshwater. Have yet to catch much so far, but I'm mostly targeting halibut and yellowfin with a few perch on the side while I'm waiting on something to take off with the big rigs.